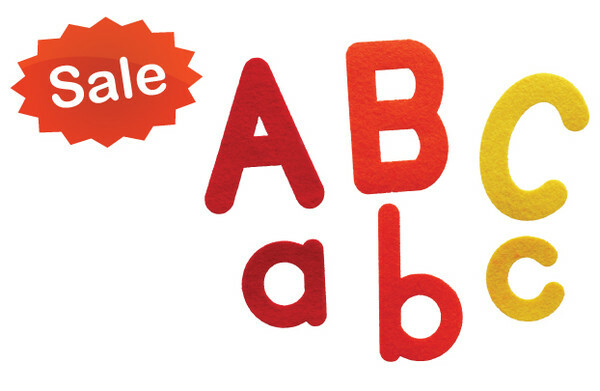 Created by FunShine Express®, the Alphabet Felt Set includes 26 uppercase and 26 lowercase letters. Great for activities such as rhymes, tracing, matching, and identifying. Works well on a flannel board or a table. Includes an activity card with one rhyme and additional activity ideas. Uppercase letters are 5 tall, lowercase letters are 2.5 tall.